When I was drinking alcohol, my whole life seemed to consist of one big reaction after another. No matter how many plans I made, what I tried to do, how I attempted improve my life, my alcohol drinking behaviour was always like a loose cannon, firing off shots at random, creating chaos where there should have been harmony. One of the biggest differences that I notice since I got rid of the rituals, behaviours, and the habit of drinking alcohol, is that I respond instead of react. And that is one of the secrets of a successful life. Life is not about what happens to you, it’s about your attitude and your responses. All hell can be breaking loose around you, but if you remain calm and collected, measuring your responses, you have a far better chance of coming out on top. 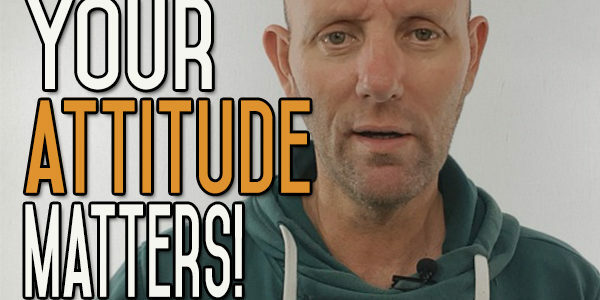 Take a look at this video on attitude and let me know what you think. I have a couple of quotes for you today. Well it’s really the same quote but it’s two different versions. One is quitting drinking is 10% what happens to you and 90% how you react. And the other one is quitting drinking is 10% what happens to you and 90% how you respond. The only two differences here are the end words – react and respond. And I prefer the second one, respond. I think your reaction is more that you are doing something on the spur of the moment and you are reacting to a problem instead of responding. Responding is a lot more measured and takes a bit more time to think about things and make the choices. Reaction is more like you’re running scared. Something that the oldest part of your brain takes care of, you know, an instant reaction taken by your subconscious. There are goose bumps all over your body. It’s the fight or flight mode. Whereas, response is more thoughtful, more measured and involves taking more care in making your choices and I think it’s more to do with your attitude than anything else. Your ability to respond is basically your only responsibility. How you respond to what’s in front of you, depends on what attitude you have. Your attitude controls so much about who you are and what you do during the day. It controls what time you go to bed at night and what time you get up in the morning. You know we’ve all seen when teenagers say, ‘I can’t get up’ you know, the pillows over the head and ‘That’s it, I’m not getting up.’ They don’t want to get up in the morning and are quite happy to stay in bed until four o’clock in the afternoon. That’s what I used to be like, as a teenager and I think I would have been like that into my twenties as well, if I hadn’t had my Son. Attitude controls what you eat and what you drink. What you put into your mouth. It controls how you think about those things. Whether you think that food and drink is entertainment or whether it’s there for your long term health or whether it’s there to give your body nutrition. Attitude is all about what thoughts run through your head. How you think, how you think about certain situations, certain people, certain environments, and how you think about certain feelings that you get and how you respond to all those feelings. Attitude controls whether you’re depressed, it controls whether you’re happy or sad. It controls whether you’ll congenial or whether you’re a complete misery to be around. It controls whether you’re cheerful or remorseful. It controls whether your loving or hateful and attitude has a lot to do with your level of success in life. You know if you’ve got the right attitude, you can push yourself a lot further, you can work your way, push yourself to a lot more extremes than if you have a bad attitude about life, or a negative attitude. Attitude also controls whether you blame your attitude or you blame something else outside of yourself. Whether you blame your attitude or you blame the weather, or you blame Politician’s, or you blame the economy, or you blame your job, your Boss, your Friends. Attitude has a lot to do whether you blame your attitude or you start looking inside yourself, looking for a subconscious part of yourself to go, rip apart. 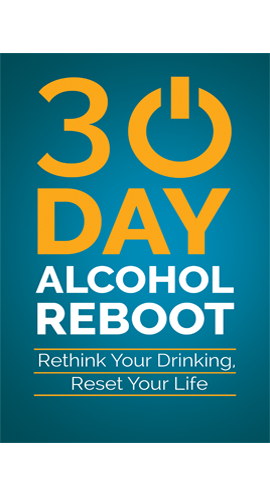 Attitude has a lot to do with how you respond to quitting drinking alcohol. It has a lot to do with how you respond to that craving, whether you’re going to sit there and do nothing about it. Whether you’re going to just think about it and dwell on it and think about how miserable you are. How you shouldn’t be getting this craving and how much you wish you were on the other side of the craving and that the craving wasn’t there any more. Or on the other side that you get up off your arse and do something about it, go for a walk, go dancing, talk to somebody, write something, or go do something else, occupy your mind with something else instead of thinking about the craving. That’s attitude. Attitude controls how you are going to respond when somebody says to you – ‘Here have a drink, take a drink. You know, you know you want one. Have a drink.’ Your attitude is going to let you start thinking about it and getting miserable that you can’t have one, or wishing that you were in a position where you could have one or blaming yourself saying ‘I must be an alcoholic’ or your attitude turns around and says ‘No I don’t want a drink. I don’t drink any more. I don’t do that think to myself any more. I don’t poison myself any more. I don’t put that crap inside my body any more’ You don’t have to say this out loud but you could be saying this in your own head. At the end of the day, no matter where you are, no matter who you are and no matter what you’re doing in this life, life is going to throw some curve balls at you. It’s going to throw some big turds at you every so often and you just can’t help that. It’s not something that you can do anything about. Some of these things you can avoid. You, can make the choices so that the next step that you make is not going to be as bad as the one before. 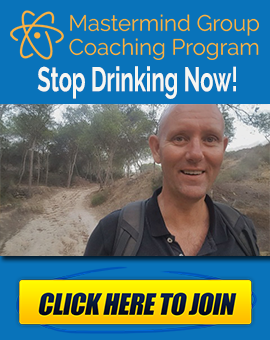 For example, if you start drinking now, in a weeks’ time you’re going to better than you were today, your mind is going to be healthier than it is today. Two weeks down the road, a month down the road, it’s going to be healthier again. Your life is going to improve because of that. 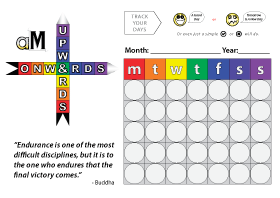 You may not see the improvements for six months but it is possible to see the improvements, like I did, straight away. I think this was because I really pushed myself to try something different and I tried a lot of different things. Although to begin with these were small improvements, I started to see really big improvements in my life six months down the line. I really moved myself forward to go in different directions. I stopped eating meat, I stopped putting shite into my body, in all forms, I started to exercise more, I started to get out into the fresh air and walk more and I started to just do this gradually day by day, by day, by day. Just one step after another and that’s all it takes. Just one step followed by another step, by another step. And although those steps may be minuscule of first, they are going to gather together and gather momentum and once they gather that momentum, then you’re find yourself taking bigger and bigger and bigger steps, even when you have big curve balls thrown at you, you know the death or a loss of a love one, divorce, break up, loss of a job, that type of thing, big curve balls. You can you build a great attitude. The first thing that you have to do is try and be aware of your attitude all the time. If you’re in a tight position and you are wondering what way to go. If you are wondering why things aren’t going so well for you or you’re wondering why there’s a problem in your life, the first thing you should do is to look at your attitude, leading down this path into somewhere you don’t want to go. 10% is what happens, 90% is your response attitude. So, the question that you should ask yourself today is where am I failing to respond. Where is my response based on a wrong attitude? Where can I correct that attitude? As I said, the first thing you have to do is to be aware of your attitude and always try and keep a check on it. If you can have the right attitude in life, your life essence can be more contagious than the most viral disease. If you have the right attitude, then you can positively influence not only yourself in the long term but so many different people around you as well. 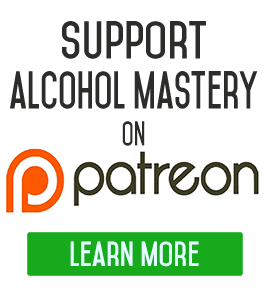 That’s it for today if you have any questions at all leave them down in the comments below, if you’re interested in sponsoring the show at all you can go over to http://www.patreon.com/AlcoholMastery and you can become a patron for as little as two dollars a month. Every single patron is much appreciated and to those people that have already become a patron of the show, I applaud you and thank you very much. If anyone Patron ever wants me to read out their name, I’ll, more than happy to do that. I know a lot of people want to keep anonymous because of the subject matter of the videos and stuff so I appreciate that, but if anyone would like me to read out their name, send me an email or put a comment down below and I have no problem in doing that. "A bad attitude is like a flat tyre, if you don't change it, you'll never go anywhere"
Kevin almost three months of the booze,you’re right about the attidude its the only way i can stay away from the drink everyday. I have to have the right attitude to be able to say no and think about the repurcussions if i say yes. I tune into your videos everyday and i put into practice every thing that you say it really helps me a terrible lot thank you kevin!. Thank you from the bottom of my heart Kevin!!! I listen to you day and night trying to get and keep my head on straight. Please keep up the excellent work you are doing! Everyday people like me need to hear it straight. I appreciate how you speak, yes the swear words too, because it makes you real and honest and true to yourself. Thank you again from South Carolina, USA! wonderful video Kevin – a fantastic subject and SO important – people don’t ever actually accept their attitudes are crap; it’s the beginning of change, and that’s so often pushed as far away as possible – especially when you’re older and more entrenched in a lifetime of ideas, lots of them based on the past, and not always informed as to the current way you’re trying to live; so the barriers have to come down, but I think it’s important to think about these thiings and work on them piece by piece rather than get into a tizzy that ‘hey, my God, my attitudes have been horribly wrong my entire life, that’s what’s got me into the mess’ and sheer panic; it’s a non starter; so although it’s difficult, I do think it’s important to work off that panic (walking if possible as you’re at your own pace, and alone, and can go at any pace you like), then things automatically come to you, especially if it’s not raining, and maybe even if it is – thanks again 🙂 It’s a really difficult one, but what the heck; even the idea of changing attitudes is a change in attitude ! !All the very best…. So true, Attitude is pretty much the only thing in this World that. We have control over. Thankyou for Alcohol Mastery.